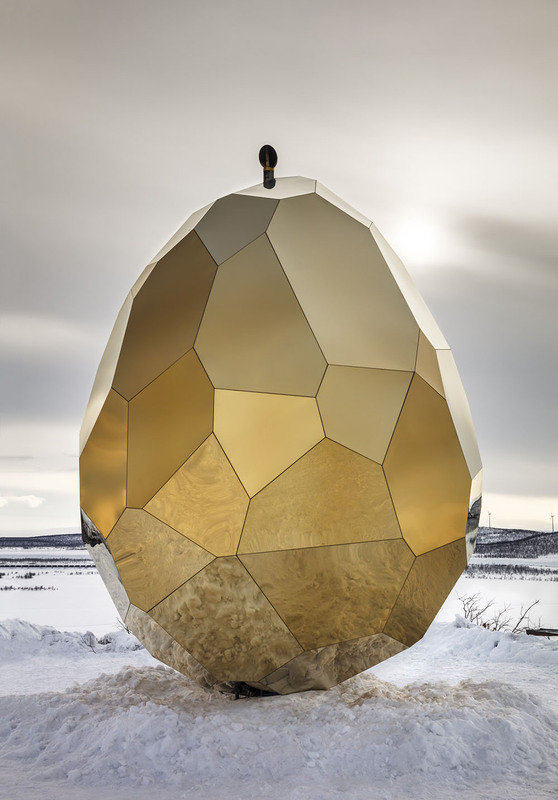 Architects Bigert & Bergström have created an egg-shaped sauna, that has been installed in Kiruna, Sweden. 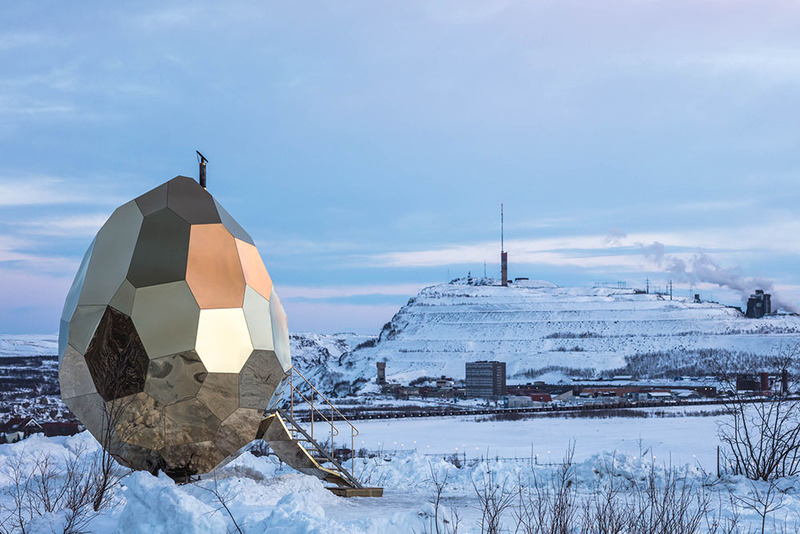 Kiruna is Sweden’s northernmost town, that currently is facing move of the whole town. 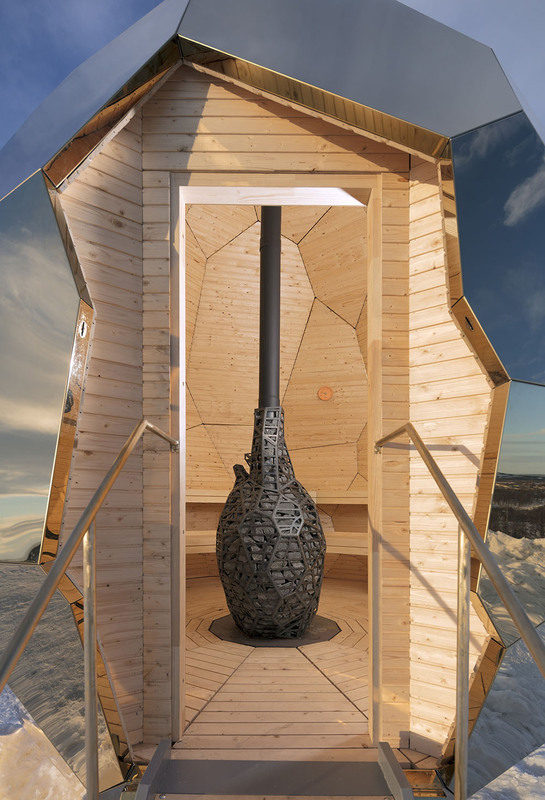 For centuries, the iron ore has been source of income for Sweden; Kiruna included. Therefore, world’s largest iron mine is essential for the town and the country. So, shutting down the mine is not an option. 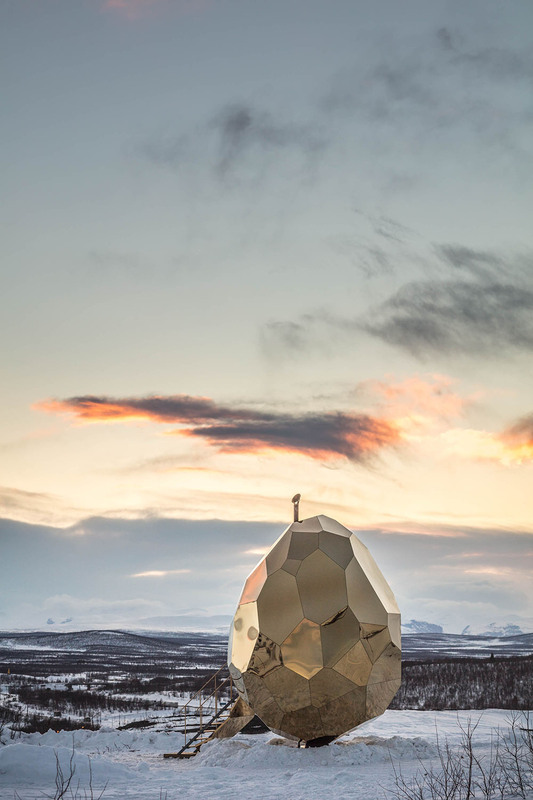 But, the ground below the town became unstable, so Kiruna has to relocate. 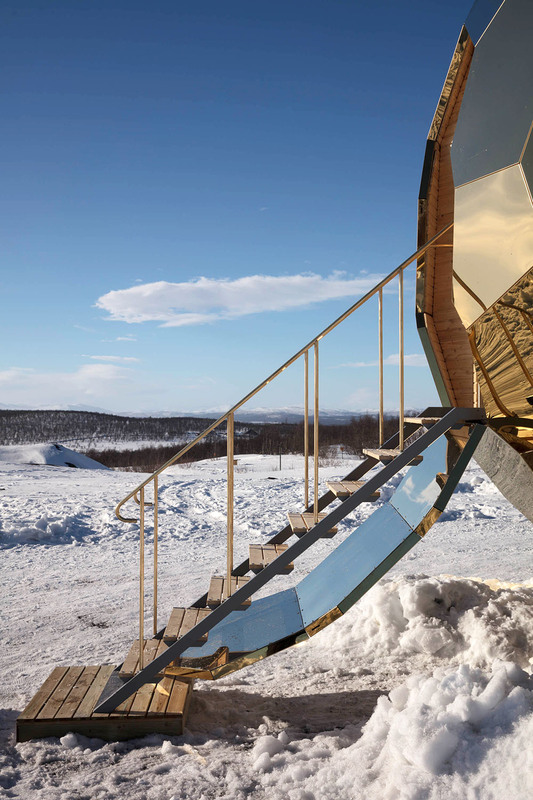 Bigert & Bergström created a sculptural symbol, that represents rebirth, nurture and new beginning. 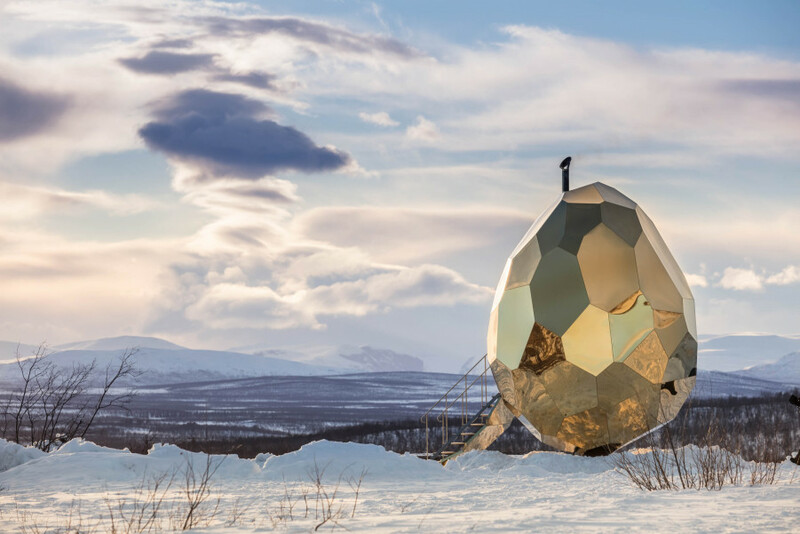 The egg is made out of stainless golden mirror sheeting, so it reflects the surroundings. 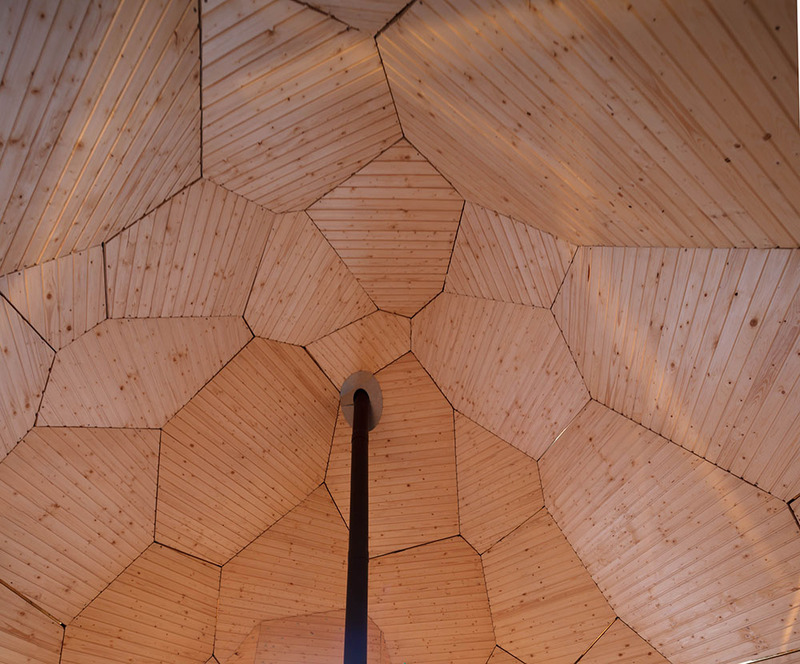 Inside, It has all the components of a traditional sauna. 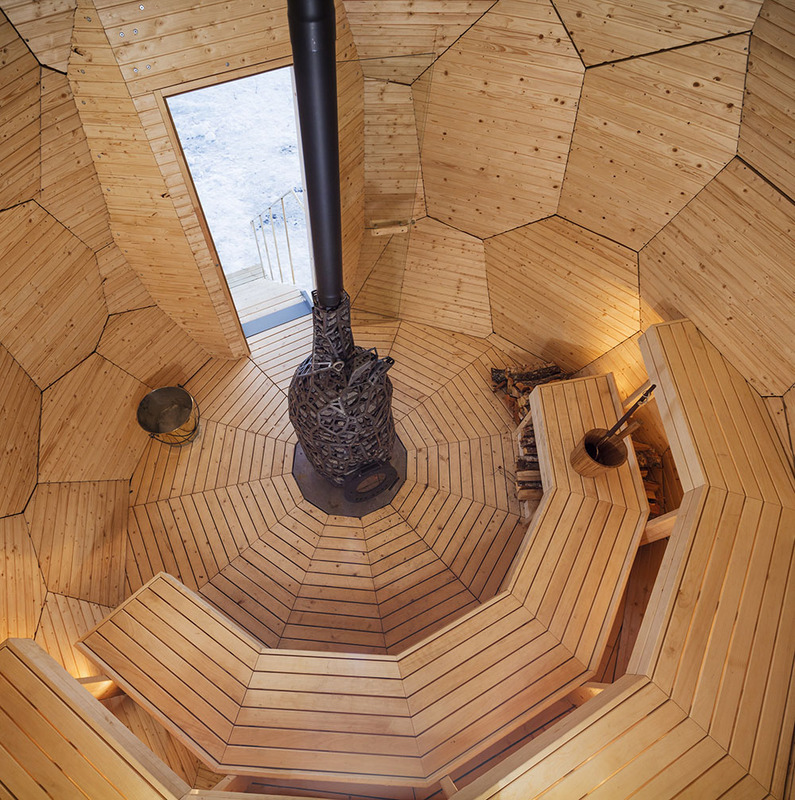 It has wooden interior and in the middle of it, there is a fully functioning, heart-shaped sauna stove.